Welcome to a weekly, October-long celebration of heroines in historical fiction. 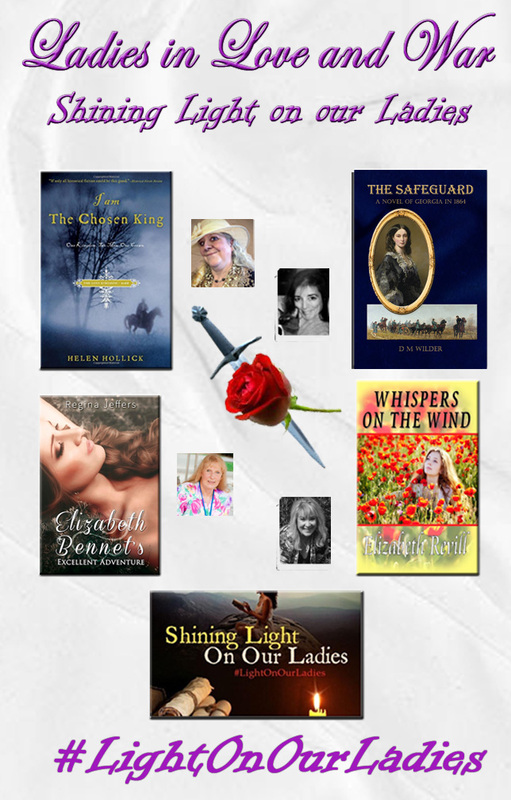 This month I am joining nine other historical novelists to highlight the women who are the central figures in our books, and I’m eager to begin! 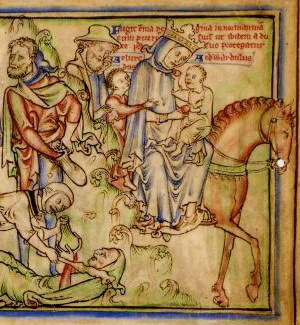 I would hazard that the pivotal moment in my writing career came on the day that I met Emma of Normandy. Not the actual Emma, of course. She faded from this middle earth nearly a thousand years ago. No, this was the day when I learned that she had existed at all, the day when I first read that name, Emma of Normandy. And what did I discover about this remarkable woman on that first day? That she had been married to two kings of England, that she was the mother of two English kings, and that she was the daughter of a Norman duke. It struck me that as a writer looking for good heroine material, I had just discovered a gold hoard. Because historical novels by definition are set in a time period prior to the birth of the author, no historical novelist can possibly know or even truly understand the characters who people a given story. They must be fictional, and at the same time they must be as true as we can make them to the historical figures they represent. So how does an author accomplish this? The best way to describe my own process is to say that I do it with mirrors. I have been living with two Emmas in my head for many years now – the historical Emma and the Emma that I’ve imagined. They are both real to me, one standing behind the other, and I can’t see one without the other gazing at me through time and space like an image reflected into infinity or, at least, into the 11th century! And who is this heroine who lives in my head and in the pages of my books? 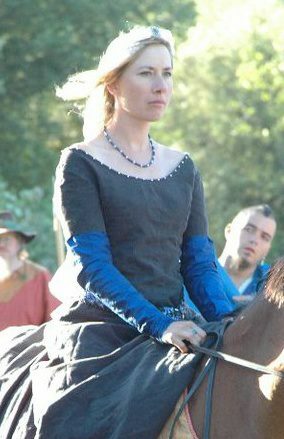 She is Queen Emma – a woman made of pretty stern stuff because she has to be – and must have been. 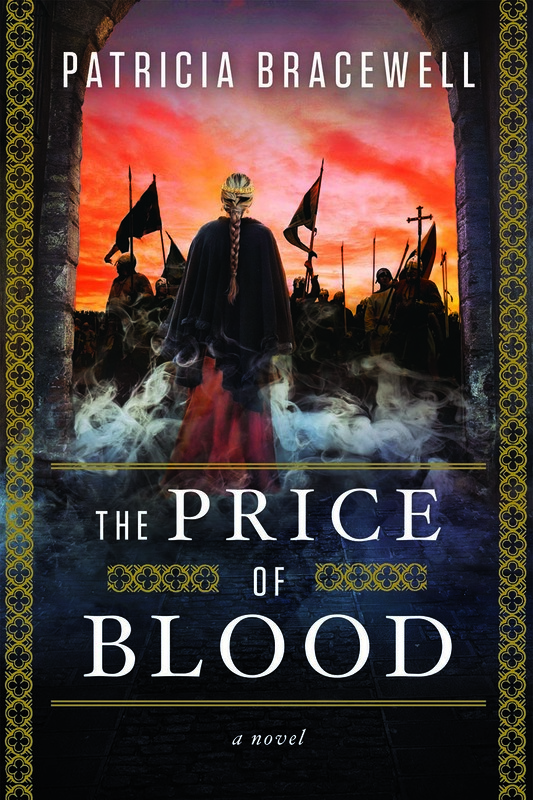 She lives in a violent England at a time when it is ravaged by war. The men in her world survive because they are ruthless, and Emma must find a way to survive among them. 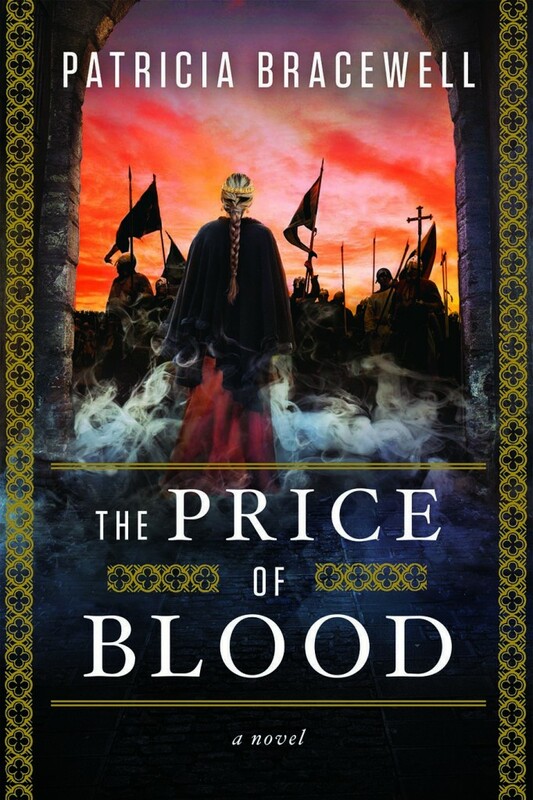 It is no easy feat, for she is wed first to a king with blood on his hands and then to a Viking war lord. She has to be a little ruthless herself, and she must learn very quickly to run with the wolves. Emma in a 12th c ms. Note the turmoil going on behind her. Emma is born of Norman stock so she is a skilled horsewoman. She has Viking blood in her veins so she is at ease on the deck of a ship. Does any of this make her a warrior? Not in the physical sense, although she witnesses battle. She does not carry an axe or a sword, but wields instead the power of a medieval queen – a power that hinges on alliances with powerful men. As a result she must tackle the same resentment and fear that women who aspire to power have faced through the ages, and she must find a way to succeed against overwhelming odds. I’ve made her sound a bit like Wonder Woman, but she is not. She does not have the physical strength to resist brute male force and she is not always able to outwit her enemies. She makes bad decisions that she will come to regret. She is vulnerable, she succumbs to grief, and she falls hopelessly in love with a man that she cannot have. 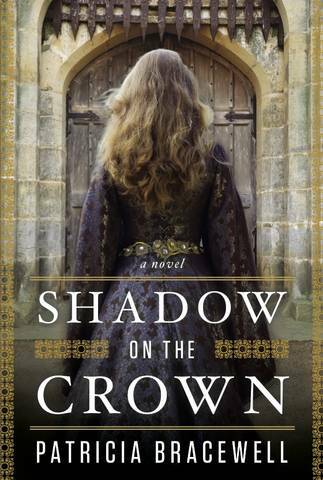 The life of a queen – or a heroine – has never been easy. Like the Norman conquerors who will follow her, Emma has a keen sense of destiny – not so much for herself but for her children. She is a mother with children to protect, in a royal family with a nasty history of fratricide. She will sacrifice a great deal for her young because her strongest motivations are the love she bears for them and the duty she owes to England as its queen and queen mother. The Emma in my novels is not yet the powerful queen that the historical Emma would one day become. A difficult road lies before her, but I have given her the strength, courage and intelligence that I believe the real Emma must have had – gifts that she would use to play a significant role in the formation of England. And having shared my Emma with you, let me introduce you to two other writers on this tour. 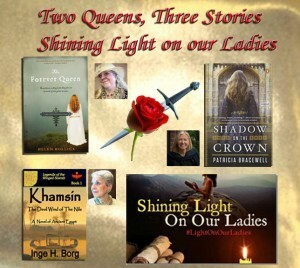 As part of the Shining Light on Our Ladies Blog Tour please meet authors Helen Hollick and Inge H. Borg. Helen Hollick lives on a thirteen-acre farm in Devon, England. Born in London, Helen wrote pony stories as a teenager, moved to science-fiction and fantasy, and then discovered historical fiction. 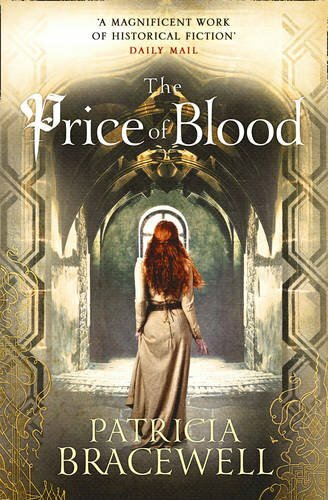 Published for over twenty years with her Arthurian Trilogy, and the 1066 era, she became a ‘USA Today’ bestseller with Forever Queen. 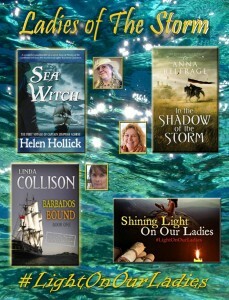 She also writes the Sea Witch Voyages, pirate-based fantasy adventures. As a supporter of Indie Authors she is Managing Editor for the Historical Novel Society Indie Reviews, and inaugurated the HNS Indie Award. 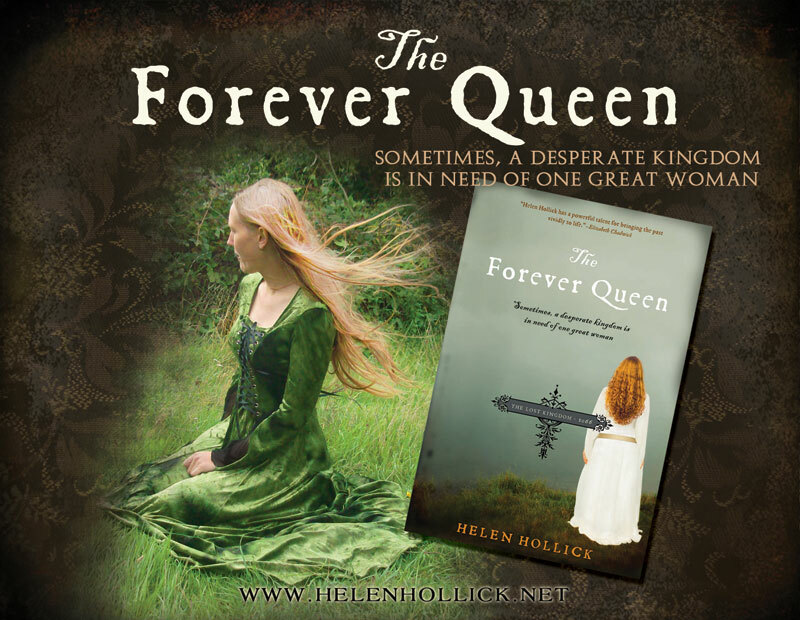 And Helen’s view of Emma… A woman married at the age of thirteen to a man she despised; when he died the only way to survive and retain her status was to marry the man who had been her enemy. In contrast to Saxon England…Fancy a trip to Ancient Egypt? Let’s go there with author Inge H Borg. Inge H. Borg was born and raised in Austria. 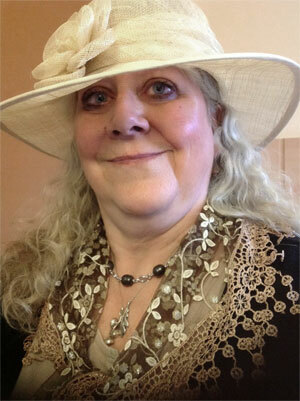 Spending many years all over the US, she now lives at a lake in Arkansas, devoting most of her time to writing. 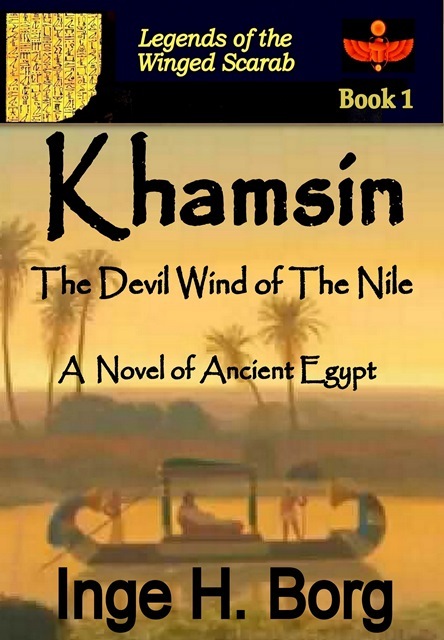 Her “Legends of the Winged Scarab” series has grown to four volumes, with a fifth soon to be published. In this series, she combines the myths of Ancient Egypt with present-day adventure, even adding a bit of dystopian suspense following a (luckily fictional) eruption of Yellowstone Supervolcano. Nefret, Royal Daughter of the Horus-King Aha, Fighting Falcon of the First Dynasty of Egypt (3080 BC) Nefret, King Aha’s Royal Heiress, was still so young, but her eternal soul was already old for it was a reawakened Ba. This essence, having lived through paradise and cataclysms, was destined to live through many other storms for it was a sinner’s soul which had not yet found atonement on this earth. Got your passport to the past? Come back and join us! There will be new posts every Tuesday in October. 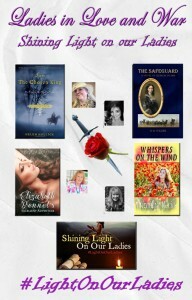 This entry was posted in Books and tagged Emma of Normandy. Bookmark the permalink. 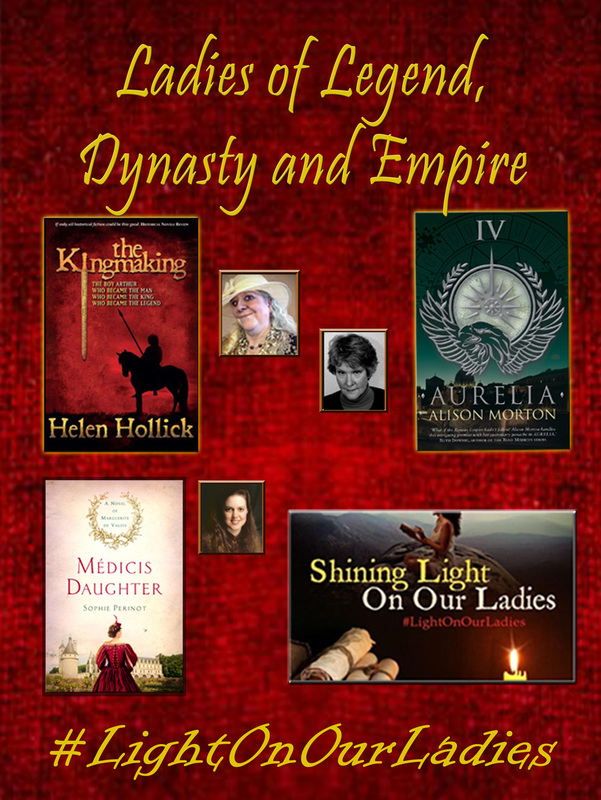 Having just read Helen Hollick’s blog post about her Lady, both your books about Emma of Normandy complement each other and make fascinating reads. I know what it is to live with a character in your head (and often in your heart); even if they do sometimes become a little obstreperous…like my Nefret; and thank you for featuring her. It is a little disconcerting when your characters start telling you what to write though – very unnerving the first time it happens! Its fascinating, Pat, that we both see Emma in a very similar light, and we both ‘met’ her in similar ways as well! I remember you saying to me when your novel first came out that you were concerned about would I mind another novel about Emma – my answer was ‘not in the slightest!” Brng it on! The more people who know about this remarkable woman the better! After all – look how many novels there are about Anne Boleyn or Eleanor of Aquitaine! Readers want to know more once they get their interest roused, so huzzah for both of us for doing a good job at rousing! Given that our books are appearing in such far-flung places as Turkey, Russia and Brazil, I’d say we are getting the word out about Queen Emma! Brava! It’s lovely to be reacquainted with Emma, having first studied her as part of my History degree, and then met her again through Pauline Stafford and latterly in these wonderful novels. What a fascinating lady she was, with such a strange family dynamic. Thanks for this wonderful post. Thank you, Annie. Pauline Stafford’s work in this area is brilliant – not just Emma but so many other early medieval woman as well. Emma of Normandy was quite the woman. It is interesting to view two perspectives on her. Very similar takes on Ms Emma…A go-getter before the word was invented? The influence of women throughout history in all cultures has typically been under-appreciated or simplified to lover or men and bearer of children I appreciate how different biographers, different novelists, see different aspects of a person’s life to reveal or give importance to. I’m pleased to learn more about your Emma of Normandy Trilogy, and Emma as you have imagined her. Thank you, Linda. 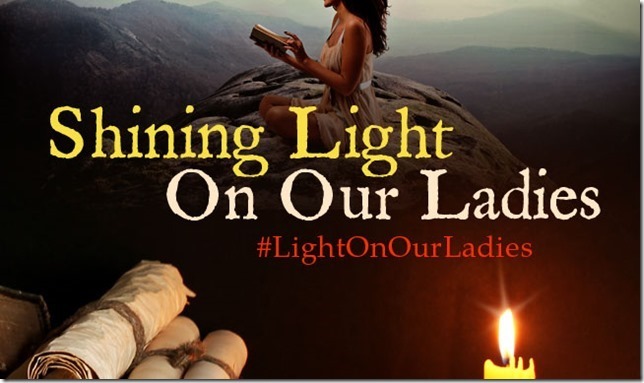 Our novels could not be imagined without the magnificent scholarly work of women who have entered the academic field of History and have done much of the “grunt work’ in resurrecting the names and the lives of so many remarkable women. I remember first reading of Emma in a not too well known book that described her as a sort of soft, passive woman. A pawn, if you will. I don’t even remember the name of that book, but it has given me a chuckle now and then. A strong character who came up against others such as herself, their interactions changing the course of history… I have quite a full bookshelf now! And thank you for the peek at your interactions with Emma.